York, a quaint English town with a rich medieval history that enchants all who walk its cobbled streets. York truly is a ‘proper’ English city as the lads here call it! This walled city is a definite must see if you’re up North. Be awe-inspired after a walk alongside what remains of the city’s medieval walls. Whilst it once stretched for two miles across the entire city and castle, some parts now lie buried underground and other parts were demolished in the 18th century. To get a real taste of how far York’s history goes back, take the time to visit the ruins of St Mary’s Abbey. Founded by the Normans around 1086, all that is now left are parts of the exterior walls and archways. However, these ruins are still a marvel to look upon giving a sense of how grand the Abbey would have been in its prime! York Minster would have to be one of the most stunning cathedrals in the world with a history that stretches incredibly far back in time! The stained glass windows are the highlight of the place of worship and currently being repaired to look the way they would have at the time of their creation. Look at old artifacts by visiting the underground chambers before climbing up the Central Tower to the highest point in the city with breathtaking views. And if you’re feeling romantic take your lover to the ‘Heart of Yorkshire’ window. Local legend says couples who kiss under it will stay together forever. No trip to York is complete without wandering down the famous Shambles street! Discover that the phrase ‘looks like the Shambles’ harks from this very street that was once filled with butchers shops. The street is incredibly narrow, with the 15th century buildings leaning in towards each other. A walk down this street really does make you feel York’s medieval history! 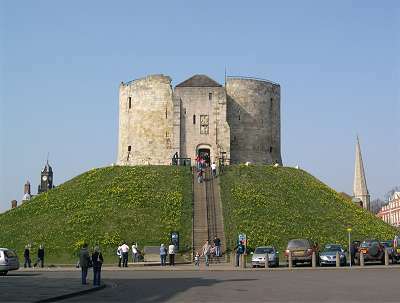 Witness another piece of history by climbing up to Clifford’s tower and all that remains of York Castle. A symbol of the country’s medieval royalty, the remaining tower was built by Henry III during the 13th century. It was named after Roger de Clifford who was executed for treason and hanged from the tower walls. 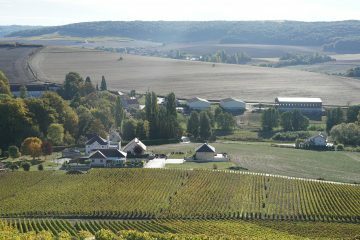 Today, the surroundings are far more peaceful and you can enjoying excellent views of the city. If you get hungry doing all this sightseeing stop for a classic English lunch of Fish and Chips with a side of mushy peas. On a cold, windy day nothing beats beer battered cod and crunchy chips and the surprising (but welcome) addition of peas for a dose of your daily greens! Indulge your sweet tooth at York’s Chocolate Factory. 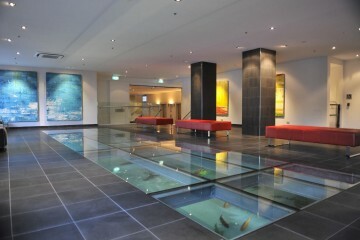 Stepping inside is reminiscent of stepping into a Charlie and the Chocolate Factory scene, where cocoa delights abound! Finally, if you’re stopping overnight why not get up close and personal with the haunted side of York. York truly is a place that allows you to step back in time!